For much of the past decade, interest rates have been at historic lows. 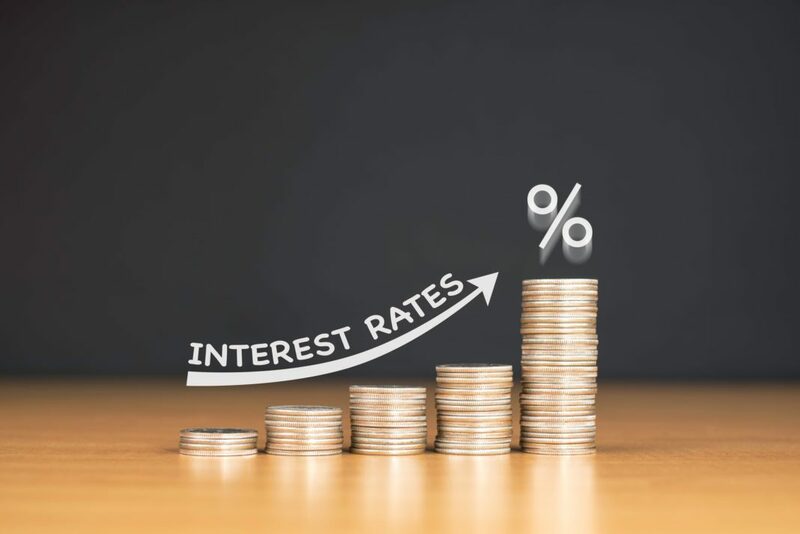 Interest rates set by most lenders tend to go up and down based on the federal funds target rate, or the rate at which banks can borrow from other banks, which is set by the Federal Reserve. This rate has ranged from around 1% to over 19% over the decades, but in the wake of the 2008 recession, it dropped to nearly zero and stayed there for five years. This made borrowing money cheap, encouraging consumers and businesses to spend – but it also discouraged saving, because the interest on bank accounts was so low. Since 2016, however, the target rate has been slowly but steadily rising. By mid-2018 it was back up to nearly 2% – a rate that’s still low by historical standards, but getting close to normal territory – and the Federal Reserve has suggested there are more hikes to come. As the target rate creeps upward, interest rates on other products, from credit cards to savings accounts, are also rising. This, in turn, will have an effect on lots of things you do as a consumer – from opening a bank account to buying a home. Here’s an overview of what you should expect as interest rates continue to rise, and what you can do to prepare for it. Higher interest rates can affect your life in a variety of ways. They change the cost of borrowing, saving, buying a home, or investing money. 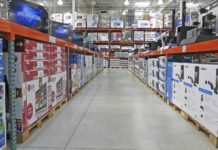 These changing costs, in turn, will affect the behavior of millions of consumers like you, which could eventually alter the direction of the economy as a whole. The most obvious effect of higher interest rates is that borrowing money becomes more expensive. Charts from the Federal Reserve show that interest rates for home loans, auto loans, and especially credit cards have risen since the Fed started increasing its target rate in 2016. Rising interest rates are a particular problem if you have credit card debt, because unlike most loans, credit cards don’t have a fixed interest rate and term. As interest rates rise, so will the interest on all the debt you built up when rates were much lower. Your monthly payment will become steadily harder to meet, and paying off your balance will take longer. Here’s an example of how this could affect you. A study released by Experian in 2018 shows that the average American has a credit card balance of $6,354. At an interest rate of 12.31%, the average in August 2016, the minimum payment on this balance would be $125. By August 2018, however, the average interest rate had risen to 14.14%, raising the minimum payment by $66. That means higher interest rates are already costing the average consumer an extra $792 per year – and this amount will only increase as rates continue to rise. Credit cards aren’t the only type of debt to be affected by higher rates. The interest will also go up on adjustable-rate mortgages, or ARMs, which could make payments harder to afford. According to Motley Fool, each 0.25% increase in the interest rate on a $200,000 ARM will add about $27 to the monthly payment, adding up to $324 per year. If rates rise by a total of 5% over the next 10 years, your monthly payment could end up about 50% higher than it was when you first took out the loan. The good news is, any fixed-rate loan you currently have, such as a mortgage, federal student loan, car loan, will not rise as interest rates go up. Your rate and your payments will stay exactly the same. However, if you need to take out a new fixed-rate loan in the future, you’ll pay more interest on that loan than you would today. The flip side of higher interest rates is that saving will become more profitable. When you put money in a savings account, you’re basically lending it to the bank – so higher interest rates help you, just as they hurt borrowers. During the recession, interest rates were so low they weren’t even keeping pace with inflation, so you literally lost money by keeping cash in the bank. But now, as interest rates rise, keeping money in the bank could once again put money in your pocket instead of taking it away. Right now, the average interest rate on a basic savings account is still quite low – less than 0.1%, according to Bankrate. However, some online banks are offering rates as high as 2.1%. That’s still not quite as high as the inflation rate, which the U.S. Department of Labor calculated at 2.4% in July 2018, but it’s getting close. And since CNBC reports that online banks are all currently “raising rates in an effort to outdo each other,” stashing your money in one of these accounts could become profitable within a year or so. A difference of one or two percentage points in interest can make a huge difference in a household’s bottom line. Data from the Federal Reserve’s Survey of Consumer Finances shows that the average amount a U.S. family has in savings is $40,200. Keeping this amount in a bank account earning 0.1% for 10 years would get you only $404 in interest. Raise the interest rate to 2.1%, however, and your interest over 10 years climbs to more than $14,000. If you’ve been thinking about buying a house in the near future, rising interest rates could affect you in two ways. The bad news is that the interest on your mortgage loan will be higher. According to the Fed, the average rate for a 30-year, fixed-rate mortgage rose by 0.75% between August 2017 and August 2018. If you’re planning to take out a $200,000 mortgage, that change will add up to a difference of about $87 in your monthly payment. However, even if the interest rate on your mortgage turns out to be higher than it would have been a year ago, your total payment might not be. That’s because, as interest rates rise, prices for homes actually fall. Higher interest rates make people less interested in becoming homeowners, so home sellers must lower their prices to attract a buyer. According to Zillow, the average value of U.S. homes has been steadily rising since 2012. Between June 2016 and June 2017, the average price rose from $200,000 to $217,000, a gain of 8.5%. If prices continued to rise at that rate, by next June the average home would cost $235,445 – but instead, Zillow predicts it will be only $231,000. Yet another factor to consider is how expensive buying a home will be relative to renting. When there are fewer people interested in buying homes, that means more people renting, which tends to drive up rental costs. So, even if buying a home is more expensive next year than it was this year, it could still be a cheaper alternative than renting. Rising interest rates can also affect your investments. It will be easier than before to earn a good return on relatively low-risk investments like CDs, Treasury securities, money market funds, and other types of bonds. For instance, from August 2017 to August 2018, the interest rate on a one-year Treasury bill rose from 0.36% to 2.31%, according to the Fed. However, there’s a catch. As the rates for various types of bonds rise, their actual prices fall. When bonds pay more, there are more people interested in buying them, and the higher demand drives prices down. That means if you already own some bonds and you want to sell them before they mature, you’ll get less for them. The effect of rising bonds on stock prices is a little harder to predict. In theory, when interest rates go up, stock prices should fall, because more people will be more likely to invest in bonds instead. But when CNBC looked at what happened to the stock market during previous periods of rising interest rates, it found that in five out of six cases, stock prices actually rose by significant amounts. So, even if bonds become a better investment over the next year or so, that doesn’t necessarily mean stocks will be a worse one. Harder still to predict is how rising interest rates will affect the overall economy. On the one hand, higher interest rates make it more expensive for businesses to borrow money, making them less likely to invest in their business ventures. It can also increase their expenses as they pay more interest on the debt they already have. Both of these factors can lead businesses to grow more slowly, resulting in lower economic growth. Compounding this problem, higher interest rates also make it harder for consumers to borrow money for major purchases. At the same time, it becomes more profitable for them to keep their money in the bank. As a result, rising interest rates could lead consumer spending to fall, at least in the short term, putting a further damper on the economy. However, it’s clear that higher interest rates don’t always damage the economy. The CNBC article argues that the main reason stocks performed so well during previous periods of rising interest was “accelerating economic growth.” A 2017 paper in Ecological Economics, which looked at interest rates and economic growth in four countries over a 50-year period, found that in fact, the economy is more likely to grow when interest rates are high. The authors argued that interest rates usually change in response to the economy, not the other way around – which suggests that rising interest rates are unlikely to slow down the economy as a whole. For the U.S. economy in particular, however, there’s one more big problem: the interest on the massive national debt. According to the U.S. Treasury, the debt has more than doubled in the last 10 years and currently stands at $21.4 trillion. However, during that same period, the interest on the debt barely rose at all, according to this chart from the Federal Reserve. Low interest rates helped keep the payments low even as the debt rose. However, all that is about to change. According to an analysis by CNBC, the average income paid on the national debt over the years has been around 5%. If interest rates rise back to that level, CNBC predicts that by 2020, interest on the debt will be the highest item in the federal budget, eating up more than half of all tax revenues. Moreover, these soaring interest payments will add to the federal budget deficit, causing the debt – and the payments on it – to grow even faster. The Congressional Budget Office (CBO) predicts that by 2048, the national debt will climb to nearly 1.5 times the size of the gross domestic product (GDP) – larger by far than it’s ever been before. It’s unclear what this will mean for ordinary Americans. The federal government could attempt to get the debt back under control with some combination of massive tax hikes or draconian budget cuts, either of which would cause pain to consumers. The CBO says for Congress to get the debt in 2048 down to 41% of GDP – its average size over the past 50 years – would require a combination of added taxes and spending cuts equaling 3% of GDP every single year. And the longer Congress puts off taking action, the bigger these changes will have to be. As you can see, the effects of rising interest rates are likely to be mixed. Some will hurt consumers’ bottom line, while others will improve it. Savvy consumers will figure out how to make the most out of the positive effects, such as better returns on savings and investments, while minimizing the downsides, such as higher debt payments. Here are some tips for turning higher interest rates to your advantage. People with a lot of credit card debt are going to take the biggest hit from rising interest rates. So, your first step to prepare for higher rates should be to pay off any credit card debt you have as fast as possible. Paying down the balance on a credit card that’s charging you 20% interest is like earning 20% on an investment, tax-free. That’s a better return than you’ll get from any other investment. To pay off your credit card faster, look for ways to cut your expenses and throw the extra money at your debt. If you don’t already have a household budget, now is the time to make one, with “debt repayment” written in as a line item. Then look for ways to trim your other budget categories, such as housing, utilities, transportation, childcare, groceries, and entertainment. 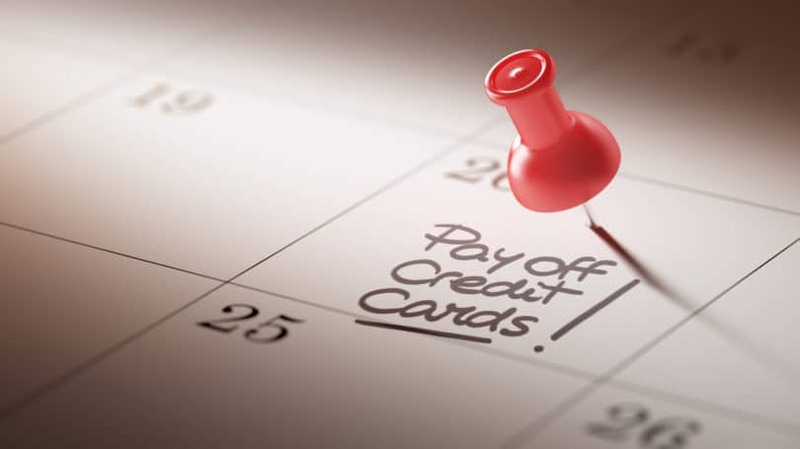 If you can’t manage to set aside a large sum each month, you can chip away at your debt through debt snowflaking – taking any small sums that come your way each month and adding them to your credit card payment. Aside from your credit cards, any debts you already have – such as car loans or student loans – are probably fixed-rate loans that won’t go up in price. However, any new loans you take out from this point on will come with higher interest rates, which will make them harder to pay off. So, it’s worth looking for ways to avoid taking on new debt if you can. For instance, if you need a new car, see if you can buy a car with cash and avoid the loan office. Consider buying a used car to save money, or choosing a new car that’s smaller and less expensive. Look at not only the up-front cost of the car, but also the true cost to own it over the long term. Check out sites like Edmunds and KBB to find the models that offer the best value. A college degree typically costs a lot more than a car, but there are still some ways to pay for college without student loans. Starting a college savings plan as early as possible can help you save money to fund your child’s education – or your own. You can also reduce the cost of a college education by choosing a lower-cost community college or even a free college, earning scholarships, or taking extra classes to graduate faster. It’s also possible, though not easy, to work your way through school and pay all or part of your tuition that way. If you absolutely have to take on new debt, the best time to do it is now, while rates are still reasonably low. According to ValuePenguin, the interest rate on a 30-year fixed-rate mortgage averaged 8.21% from 1971 through 2017. That makes the current average rate of 4.53%, as given by the Federal Reserve, look pretty good. Just make sure you choose a fixed-rate mortgage, so you can lock in this rate over the life of your loan. If you currently have an adjustable-rate mortgage, consider refinancing your mortgage to convert it to a fixed-rate loan. Depending on the terms of your new loan, you might not save any money on your monthly payment right away, but you’ll be glad you did it if interest rates hit 7%, 8%, or even double digits. The upside of higher interest rates is that keeping money in the bank is about to become a lot more profitable. Unfortunately, we’re not quite there yet. Financial expert Ric Edelman, speaking with CNBC, notes that banks “are notorious for dropping rates quickly and raising them slowly” in response to changes in the federal funds target rate. So, rates will probably have to keep rising for quite a while before the average bank account starts paying more than a pittance. However, there are some exceptions to this rule. Some online banks are already paying rates of around 2%, and many banks are offering CDs at rates of 2.5% to 3%. The snag with CDs is that they tie up your money for anywhere from six months to five years – so if interest rates continue to rise, your money will be stuck at a subpar rate. To avoid this problem, stick to shorter-term CDs. According to Bankrate, if you have $10,000 to invest, you can get as much as 2.6% on a one-year CD. Then, if interest rates are higher a year from now, you can just roll it over into a new CD at the higher rate. As noted above, rising interest rates will have a mixed effect on potential home buyers. Mortgage interest rates will be higher, but home prices could well be lower – and renting could also become more expensive. The bottom line is that there’s no way to draw broad conclusions about whether buying or renting a house is a better choice. You’ll have to crunch the numbers for your particular area to figure out which is a better deal. Tools like the Rent vs. Buy calculator from Zillow can help with the math, but you also need to look at rental prices for your area to figure out how much house you could get for a given monthly payment. If you decide that buying a home is the right choice for you, choose a fixed-rate mortgage so you can lock in your rate before interest rates rise still more. It also makes sense to put down as big a down payment as you can reasonably manage. By reducing the amount you have to borrow, you get the best of both worlds: you take advantage of falling home prices without getting socked too hard by rising rates. 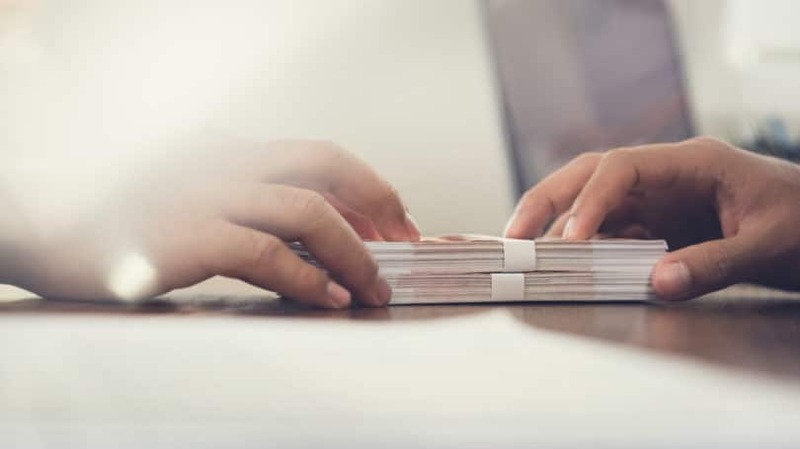 You can get money for your down payment using many of the same tricks and tools you’d use for paying off a credit card balance. Rising interest rates can make your investment choices more complicated. Bonds will offer higher returns, but at the same time, their prices will drop, which can hurt you if you sell your bonds before they mature. That’s a particular problem for long-term bonds, since you could get stuck either earning a relatively low rate or cashing in at a lower price. One way to get around this problem is to stick to shorter-term bonds. Financial adviser Aash Shah, speaking with Kiplinger, suggests building a “bond ladder”: a collection of bonds that mature at regular intervals. For instance, you could buy bonds maturing at three months, six months, one year, and two years. As these bonds mature, you can roll them over into longer-term bonds, which should be paying more by that point. As for stocks, their prices won’t necessarily fall, but CNN says they’re likely to become more volatile. That doesn’t mean you should get out of stocks entirely, but it’s worth assessing your risk tolerance and adjusting your balance of stocks, bonds, and other investments to fit. If all this sounds too complicated for you, talk to a financial advisor who can guide you through the process. It’s hard to predict just how rising interest rates will affect the economy as a whole. They could slow it down, possibly leading to another recession, or do just the opposite. Likewise, the rising interest on the national debt could lead to higher taxes and budget cuts, but we don’t know if or when that will happen. Pay off Debt. As noted above, paying off credit card debt is especially important, since it protects you from soaring interest. However, paying off other debts, even if they’re fixed-rate loans, will also free up income, which is always helpful. Increase Your Emergency Savings. Any kind of financial rough patch, such as a job loss, will hurt you a lot less if you have an emergency fund. Start an emergency fund if you don’t already have one, and if you do, try to bulk it up. Jobs are harder to find in a recession, so keeping six or even twelve months’ worth of expenses salted away isn’t excessive. Cut Your Expenses. The less money you need to live on, the easier it will be to get by when times are tough. Go through your budget, and look for any hidden budget busters that you can cut. The money you save can go toward paying down debt or boosting savings, making this tip a win-win. Have Good Insurance. Finally, make sure you have enough insurance to protect yourself from major financial losses. You should definitely carry health insurance, as well as auto insurance if you own a car and homeowner’s insurance if you have a house. And if other people depend on your income, life insurance is useful to protect your family. The economy is always hard to predict. Interest rates are on the rise right now, but there’s always the possibility that they won’t continue to rise, or they won’t rise as much as most people are expecting. If the economy heads into a downturn a year or so down the road, the Federal Reserve could back off on rate hikes or even reverse them. The good news is that most of the things you can do to prepare for higher interest rates will still help you even if rates don’t keep rising. Paying down credit card debt is always helpful, because it saves up all the money that’s going to interest. Looking for a higher-yield bank account will definitely put a little extra cash in your pocket, even if it’s not as much as you’d hoped for. And sticking to shorter-term investments makes it easy to change your plans if the economy starts going the other way. The bottom line is, you have nothing to lose by planning ahead – and possibly quite a bit to gain. What have you done to prepare for rising interest rates? What do you plan to do in the future?